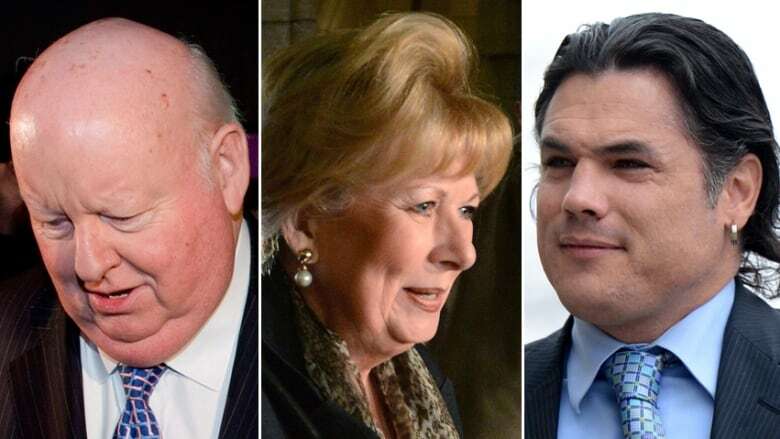 Three people will immediately and directly benefit from an early election call: Mike Duffy, Pamela Wallin and Patrick Brazeau. The suspended senators have been without pay or benefits since November 2013, when they were booted from the Red Chamber amid allegations of fraudulent expense and living-expense claims. But those suspensions were only for the parliamentary session, and once it ends officially when Parliament is dissolved, so too do the suspensions. All three senators would start receiving a paycheque within weeks of the writ being drawn up. A Senate spokesperson confirmed that would happen without any paperwork or action by the senators themselves. Duffy charged with 31 counts of fraud, breach of trust and bribery, and his trial in Ottawa resuming Aug. 12. Brazeau charged with fraud, and his trial expected to start in March 2016. Wallin not charged with any wrongdoing, but still under investigation by the RCMP. Senators are paid monthly and their salaries would be adjusted based on when the election is called and the parliamentary session officially dissolved. The senators would also now have access to their living and housing budgets, and they would be allowed to start claiming per diems if they were in Ottawa or could justify they were on Senate business. The one benefit the senators would no longer be able to access is their pensions. The government moved in March last year to make changes to the Member of Parliament Retiring Allowances Act to prevent senators from being able to collect pensions while suspended. The Senate could move to suspend the senators again, but would have to wait for a new parliamentary session for that to happen. An earlier version of this story incorrectly said the trial for suspended Senator Patrick Brazeau was expected to start later this fall. In fact, it is scheduled to start in March 2016.